Patients, plastic surgeons, makers of breast implants, regulators and Health Canada officials participate in two-day meeting hosted by the U.S. Food and Drug Administration. 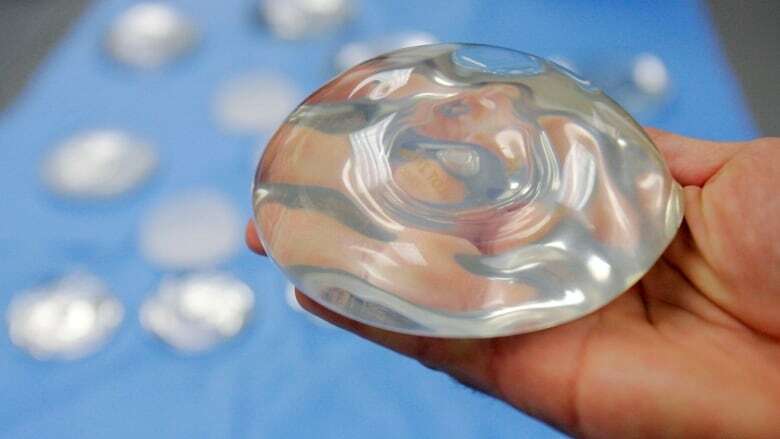 Reports of breast implant-associated illnesses prompt review in U.S.
U.S. government medical advisers said Monday it's too soon to ban a type of breast implant that has recently been linked to a rare form of cancer, saying more information is needed to understand the problem. The U.S. Food and Drug Administration panel didn't recommend any immediate restrictions on breast implants after a day reviewing the latest research on the risks of the devices, which have been subject to safety concerns for decades. "Do we want to get into the situation where we pull one sweetener and the replacement is even worse?" said Karla Ballman, a biostatistician at New York's Weill Cornell School of Medicine. "I think a knee-jerk reaction of just pulling something without knowing what the replacement will be might get us into more trouble." "Don't ignore us. We are real," said Holly Davis, of Charleston, S.C.
immune-inflammatory reaction when exposed to select materials," the agency said in a statement. Health Canada officials are attending the event in Washington, D.C., to meet in person with their FDA counterparts. The Canadian regulator said that since the Mentor warning letter came from the FDA, "no additional regulatory action is required by Health Canada at this time." There are no approved Sientra medical devices on the Canadian market, according to Health Canada. In February, Health Canada announced it was reopening its safety review of breast implants after more Canadian women were identified with symptoms of a rare cancer. A joint investigation by CBC News, Radio-Canada, and the Toronto Star in collaboration with the Washington-based International Consortium of Investigative Journalists found deaths and serious injuries potentially tied to breast implants and other medical devices are underreported in many countries, including Canada. Many patients told CBC they suffered serious medical problems as a result of their implants and were dismissed by health professionals.